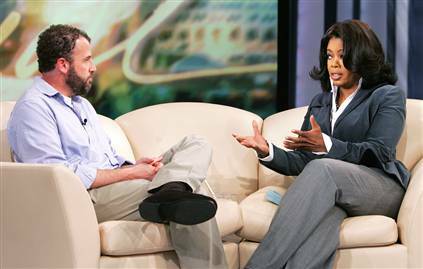 Oprah and James Frey, BFFs? In a gesture that shocked me more than the actual event, Oprah apologized to James Frey. You remember him. He wrote a piece of non-fiction called A Thousand Little Pieces about his supposed drug addiction. Oprah placed the book in her book club, the golden touch of books, and everyone read it. Was on the best seller’s list–every one’s best sellers list–for awhile. And then the truth came out, literally because homeboy lied about some of the”facts” in his book.